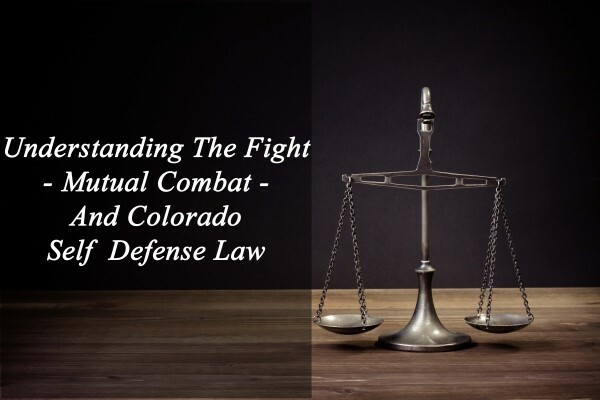 Understanding The Fight – Mutual Combat – And Colorado Self Defense Law – Colorado law provides for the affirmative defense of self defense only under certain conditions. One of the exceptions to successfully asserting the defense of self defense in a fight – is called the MUTUAL COMBAT EXCEPTION. 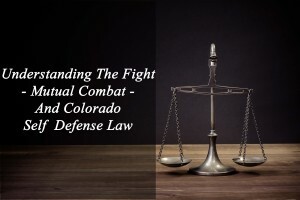 How Can I Understand The Parameters Of The Mutual Combat Exception To The Self Defense Law In Colorado? The “elements” of what constitutes mutual combat have been defined in Colorado cases over the years. Before you can be denied the right to assert self defense under the Mutual Combat exception there must be a “ definite agreement” between the parties .. to fight! Mutual combat does not exist purely because the parties were mutually engaged in a fist fight. To prove the mutual combat exception, the State must prove that an agreement to fight existed between the parties, and that the parties entered into the agreement before beginning combat. Example: The alleged victim in a criminal case initially attacks a Defendant in the bathroom of a pool hall. An argument ensues with the victim threatening the defendant and both men pushing each other. Bartender says – of course – “take the fight outside.” Alleged victim then said, “Let’s go outside,” to the defendant. They take off their coats – go outside and the victim takes the first poke at the Defendant. The Defendant then hits the alleged victim so hard – he kills him. Held: Because there was no “clear-cut agreement” to fight, there is mo mutual combat. While some of the facts support an agreement (taking off the coats and going outside) – the law requires a “more definite agreement” following facts that support some kind of initial aggression in situations such as this one. But – in cases where there is a history of previous altercations and a clear intent to engage in conflict the result could be different. A Trial Judge cannot legally take away the right to assert self defense based upon mutual combat unless the evidence supports a conclusion that the parties agreed to fight and that the parties entered into the agreement before beginning combat. When there is a “general follow-up of aggression,” and a fight ensues – that does NOT MEAN this is an agreement to fight by mutual combat. Remember – unless there is a clear agreement to fight can be gleaned from the evidence, a Trial Court should not instruct the jury on the mutual combat exception to self-defense and take away that right. 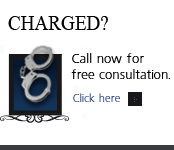 You should be careful to make a responsible choice in selecting a Colorado Criminal Defense Lawyer – and we encourage you to “vet” our firm. Over the last 30 plus years – by focusing ONLY on Colorado criminal law – H. Michael has had the necessary time to commit to the task of constantly updating himself on nearly every area of criminal law, to include Colorado criminal law and procedure and trial and courtroom practice. 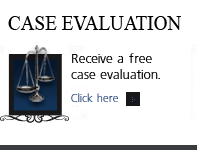 H. Michael works hard to get his clients the best possible results in and out of the courtroom. 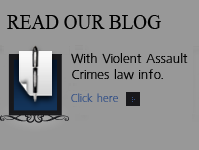 He has written, and continues to write, extensively on Colorado criminal law and he hopes this article helps you in some small way – Understanding The Fight – Mutual Combat – And Colorado Self Defense Law.